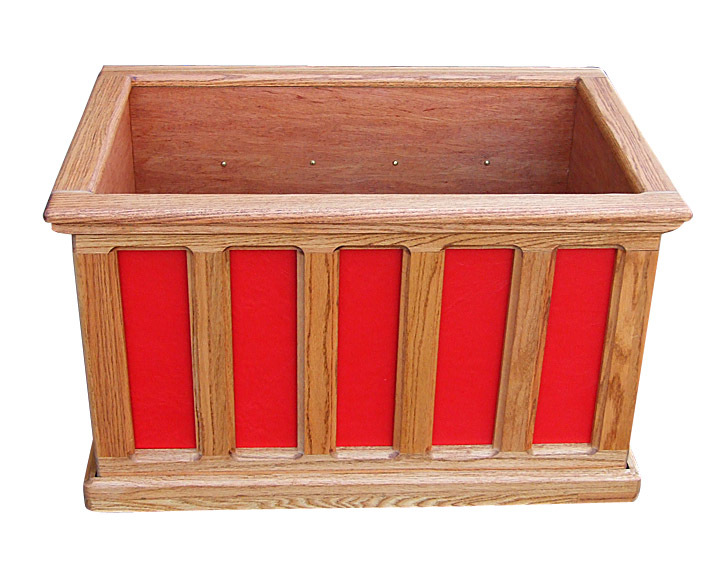 This solid oak toy box was assembled using pocket screws and is made from a recycled church pew. 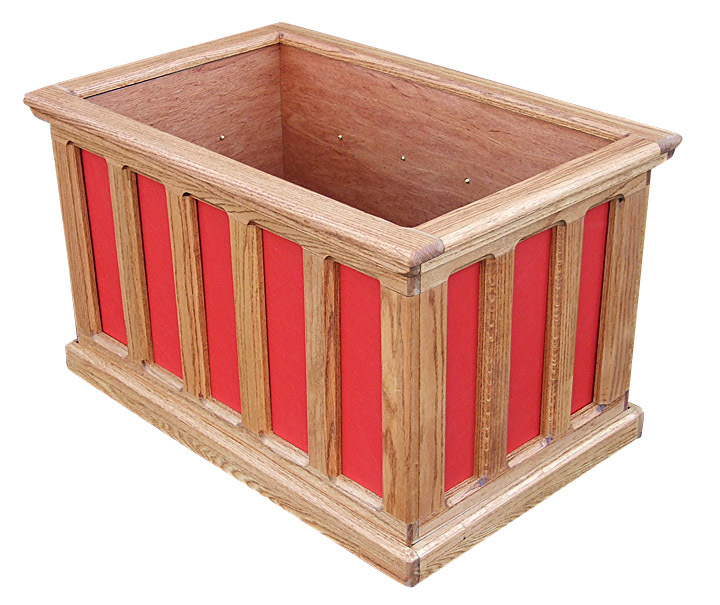 The wood was resurfaced using a thickness planer and finished with Minwax Golden Oak stain. The red cowhide leather panels are fastened to the inside with brass screws. The box sits on stainless ball casters for ease in moving.